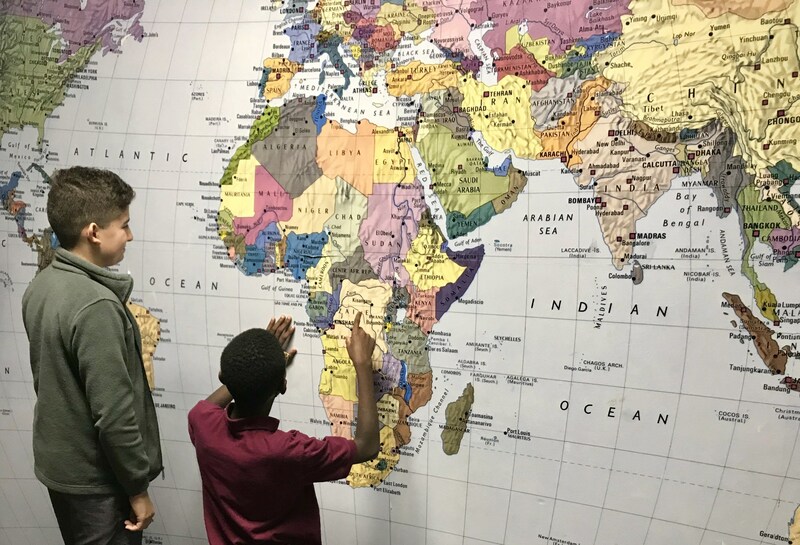 Studying the history of the United States, geography, and current events are truly an experience in the Middle School. The Forest Ridge Academy slogan of "learning beyond textbooks" is taken seriously in this class. Rarely is a textbook utilized. In fact, the majority of the learning that takes place is from directed research, done by the students on their laptops with teacher guidance, non-fiction trade books, and various types of media. A topic of study is delved into from all sides, past and current, domestic and international, fact and fiction, etc. Students often create projects culminating the information learned. This may be in the form of a computer-generated presentation, clay mold, poetry or anything else their imagination may help create. The goal is to have well-informed students that understand where we have come from, what has been learned, and where this country is headed.